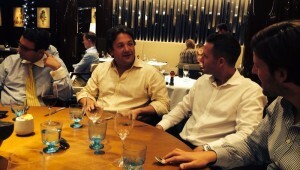 To Rivea, at the Bulgari Hotel Knightsbridge, for a private lunch with 10 select HedgeBrunch guests. 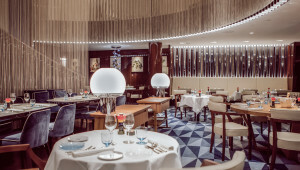 The latest instalment from celebrated chef Alain Ducasse, Rivea is a restaurant that is quickly finding itself on many a londoner’s must-do list. And rightly so. Welcomed with a specially tailored HedgeBrunch cocktail menu, guests joined Jersey Finance’s Richard Nunn and the HB team for what was to turn out to be highly enjoyable and beneficial afternoon for all. This is an establishment of the highest calibre – the stylish gravitas and modern grandeur of the hotel setting the tone for the well placed and welcoming dining space at its core. It’s a small plate concept venue, headed-up by rising star chef Damien Leroux, with the finest European fare. 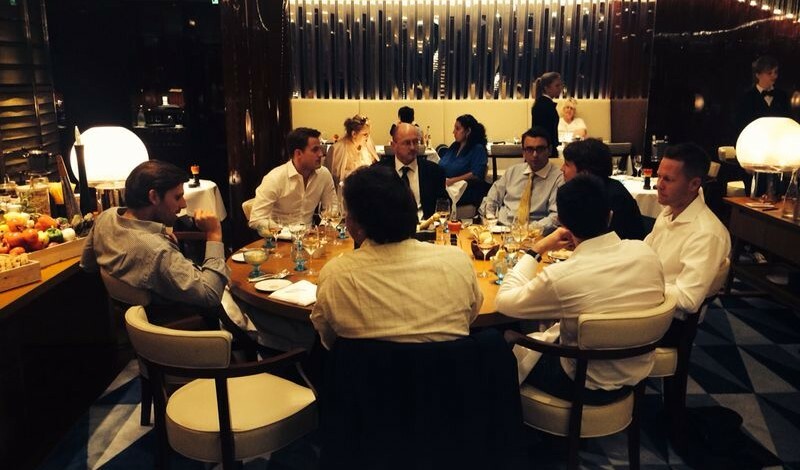 Our well-travelled guests, ranging from fund managers to COOs and sales directors to Seeders, felt rightly at home. To start we sampled a wide selection of the French and Italian influenced dishes from the impressive lunch menu, all perfectly paired with crisp glasses of white or rosé. Being the hottest day of the year in London this was more than a welcome respite from the heat outside. Conversation moved from work to play and back again but, it being a lunchtime occasion and with markets and positions still open for many, some topics were more in vogue than others. In true HedgeBrunch fashion though, the lines between work and play were deftly blurred throughout. In full swing and on to the main event, highlights came in the form of the rib and saddle of lamb and the baked John Dowry. Both dishes of such accomplishment, the only fault we could find was that there wasn’t enough of either. Alain Ducasse’s long held philosophy – La cuisine de l’essentiel (essential cuisine) – runs through everything that is Rivea. 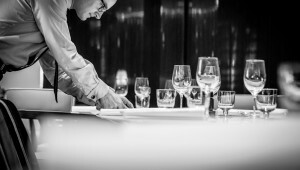 Respect for the produce – retaining the natural flavours and textures – brings a delicate, pure and fresh experience. Service mirrored this throughout, with a professional, charming yet light touch – leaving the integrity of the meal and the restaurant itself even stronger as we polished off selected deserts and impressive cheese plates. It’s hard to find anything wrong with lunch at Rivea – we certainly left as ten very happy HedgeBrunch members and we think that’s it’s place on that to-do list is more than justified.